ISL has introduced customisable stepper motors for industrial automation applications. These are hybrid permanent magnet (PM) and variable reluctance motors which employ magnets to make the shaft turn a precise distance when a pulse of electricity is supplied, so they are appropriate in a broad range of high-precision motion control designs. 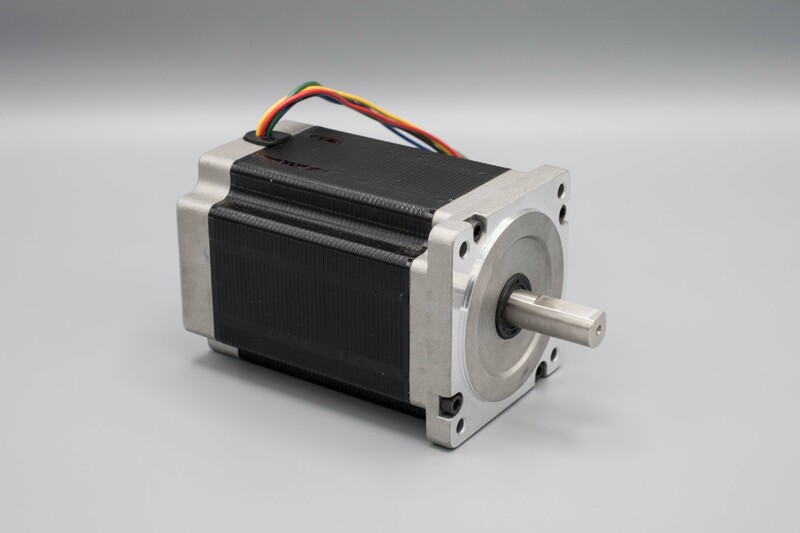 ISL’s brushless stepper motors provide either rotary or linear motion and are controlled by an open-loop system (non-feedback system) to further facilitate robust, low-maintenance operation. They are available in frame sizes ranging from NEMA 8 to NEMA 52 (20mm – 130mm) and feature a 1.8º (2-phase) step angle. Additionally, 0.9º (2-phase) and 1.2º (3-phase) step angle configurations are available. To ensure OEMs unique requirements are met, ISL engineers help identify the optimal stepper motor solutions for each application. Included among the customisation capabilities are those pertaining to brake, gearhead, torque density, voltage, output speed, encoder/driver, power, current, lead screw/ball screw (linear stepper), all-in-one driver/controller, step angle, phase and pole count, lead wire/connector, shaft configuration and material.